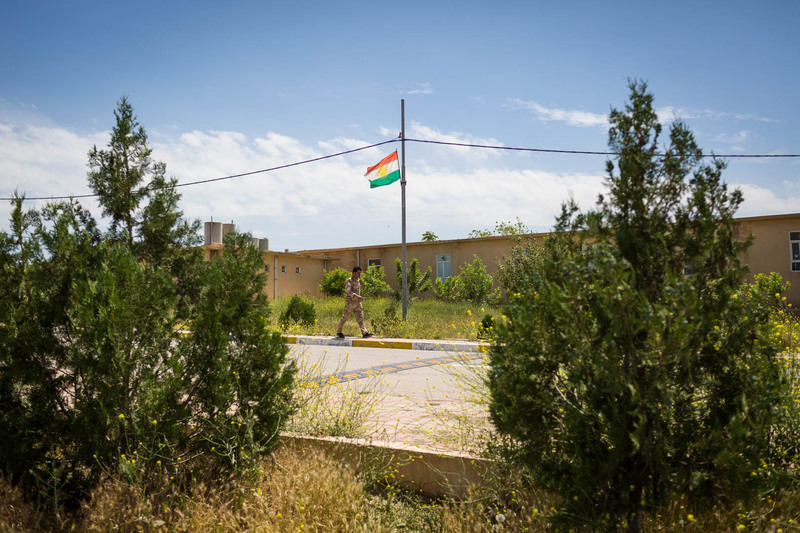 A Peshmerga soldier walks the perimeters of the Zerewani compound near Erbil, where coalition forces are training the Peshmerga, the armed forces of the Kurdish Autonomous Region of Iraq. 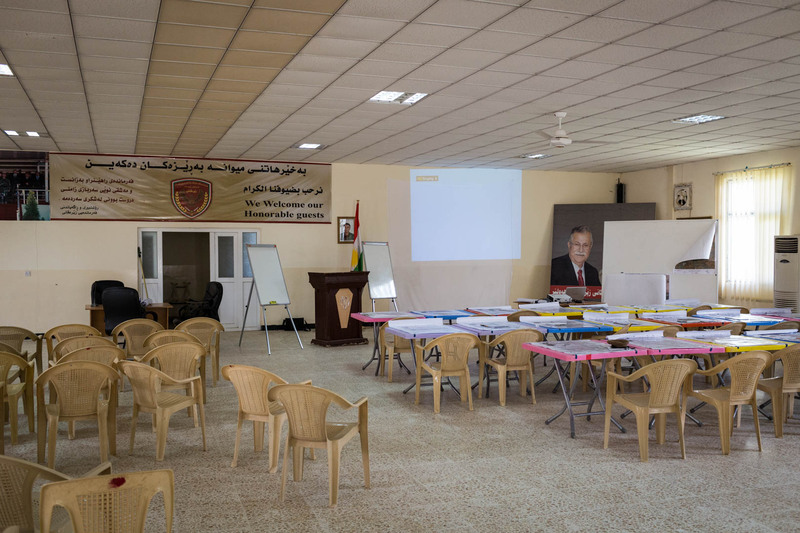 A hall used for seminars, theoretical training and the reception of domestic and foreign visitors. 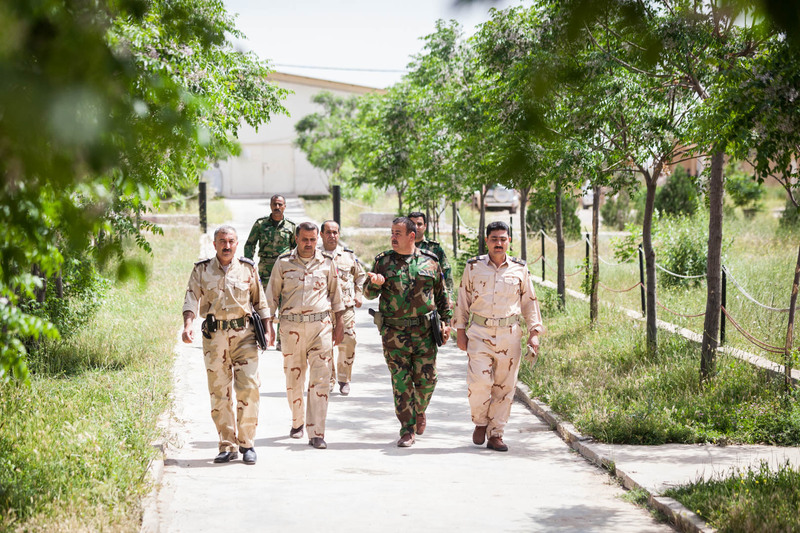 A group of Kurdish officers and officials is walking the Zerewani compound. 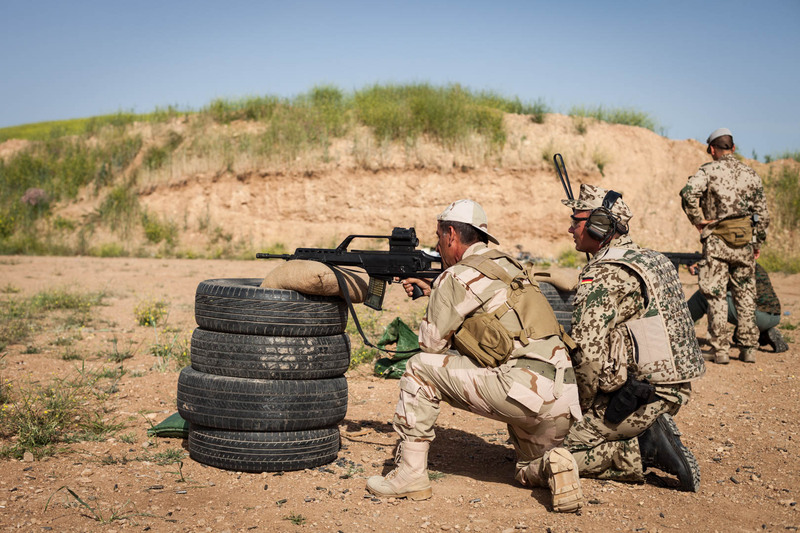 Kurdish Peshmerga forces receive combat emergency training by German army forces to prevent unnecessary deaths due to minor and major combat injuries. 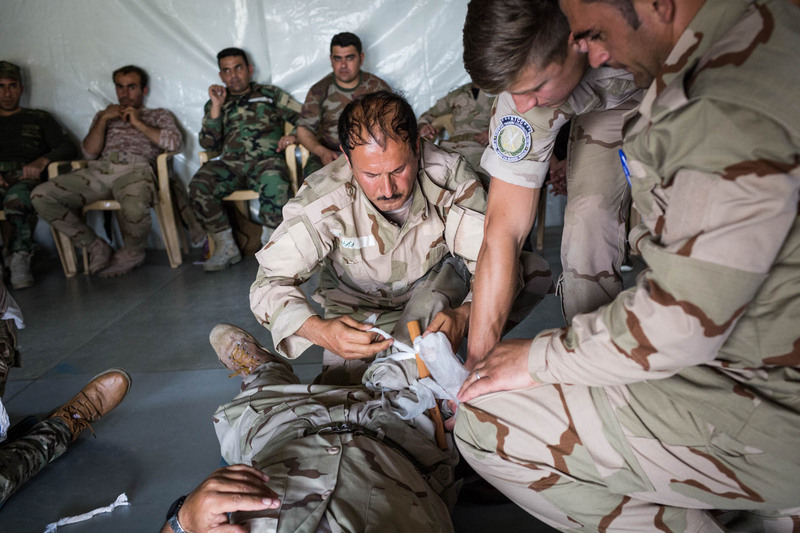 They have never been trained how to treat injuries when they joined the Peshmerga. 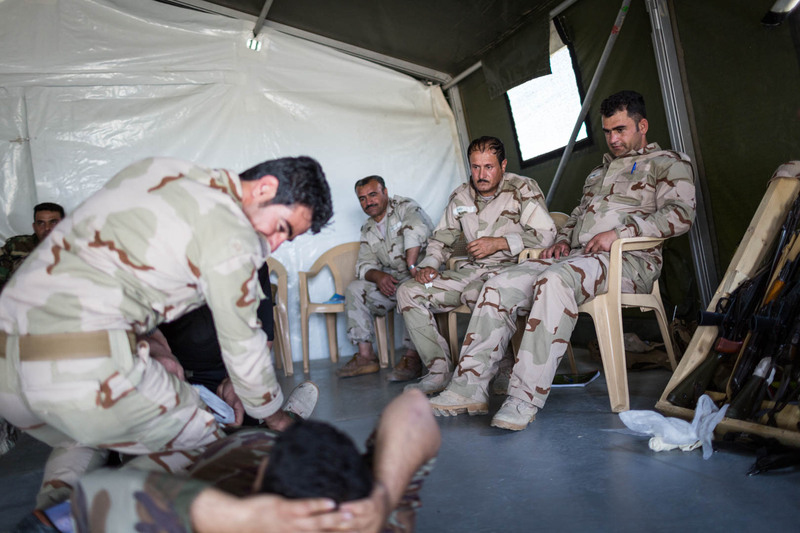 A group of Peshmerga officers is watching their soldiers take part in a training led by German forces to treat combat injuries. 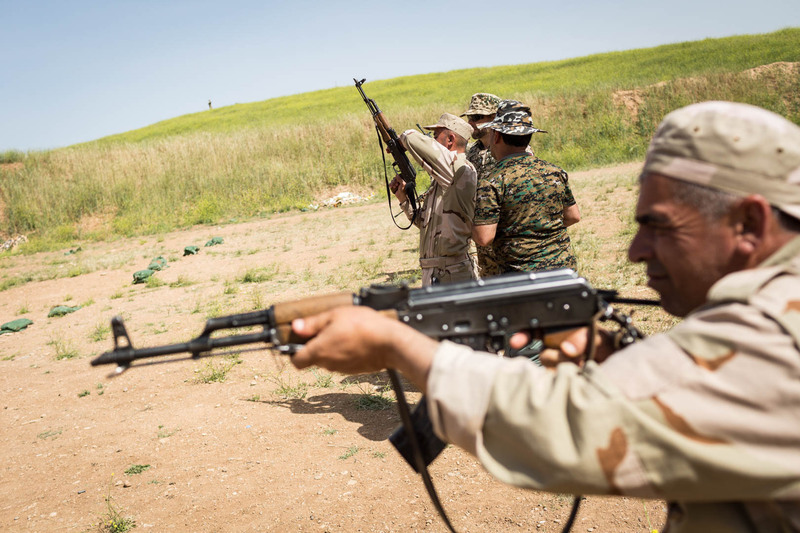 Kurdish soldiers are receiving target practice from German military advisers at the shooting range. During target practice, Kurdish soldiers await further orders. 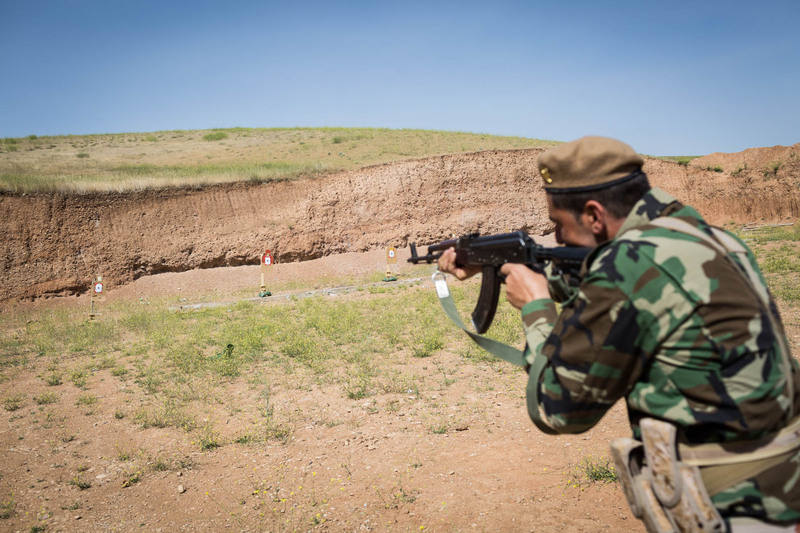 A Peshmerga soldier takes aim at the shooting range. 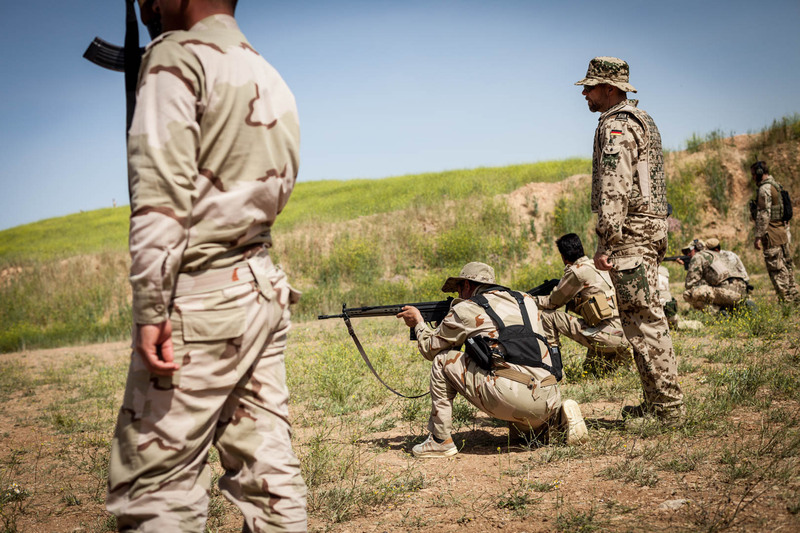 Most of the Peshmerga trained by German and coalition forces are affiliated with the Barzani-led Kurdish Democratic Party, the ruling Kurdish party in the northern part of Kurdistan in Iraq. 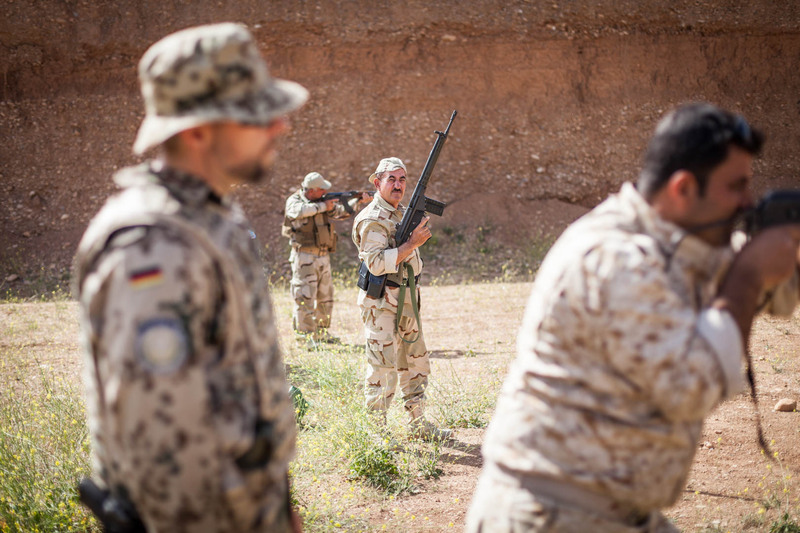 German military advisers train Peshmerga forces at the shooting range. 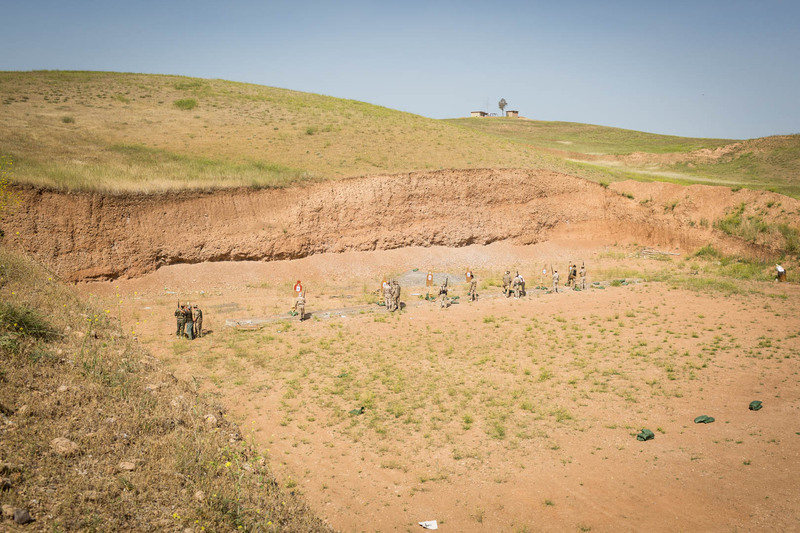 The shooting range is part of the Zerewani military compound just outside of Erbil, the capital of the Kurdistan region in Iraq. A Kurdish soldier awaits further instructions. A German military adviser helps a Kurdish soldier checking the barrel of his AK-47. 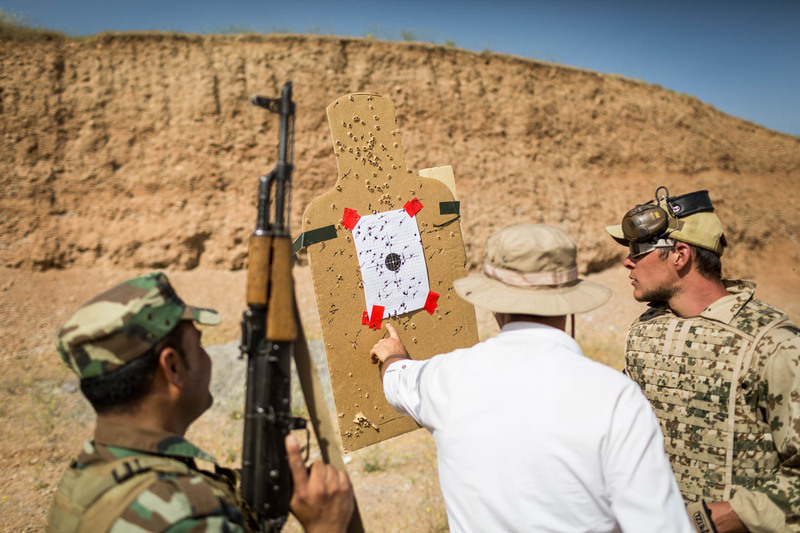 A Peshmerga soldier and his German military adviser are discussing his performance results at the shooting range. 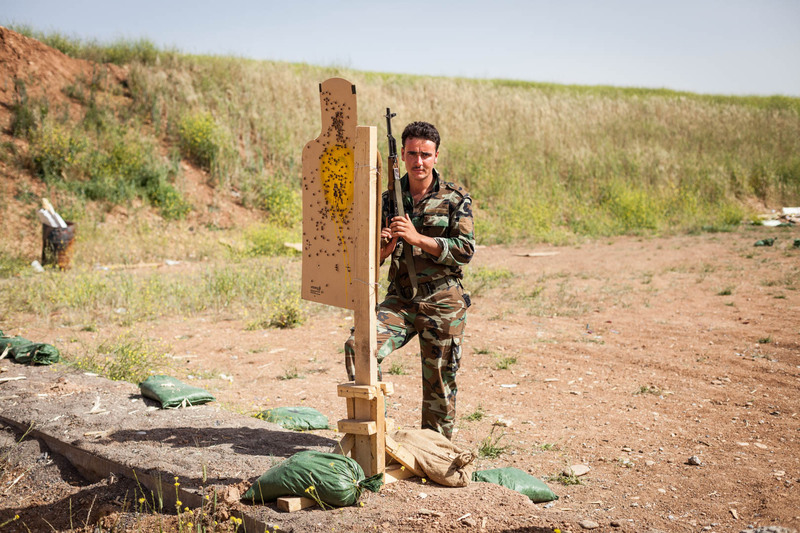 A member of the Peshmerga awaits his instructor at the shooting range. A Kurdish battalion waits for further instructions by German military advisers. The leader of the battalion, in green, is holding a German G36 rifle. These rifles have been donated in great number by the German government to equip the Peshmerga against the Islamic State in Iraq. 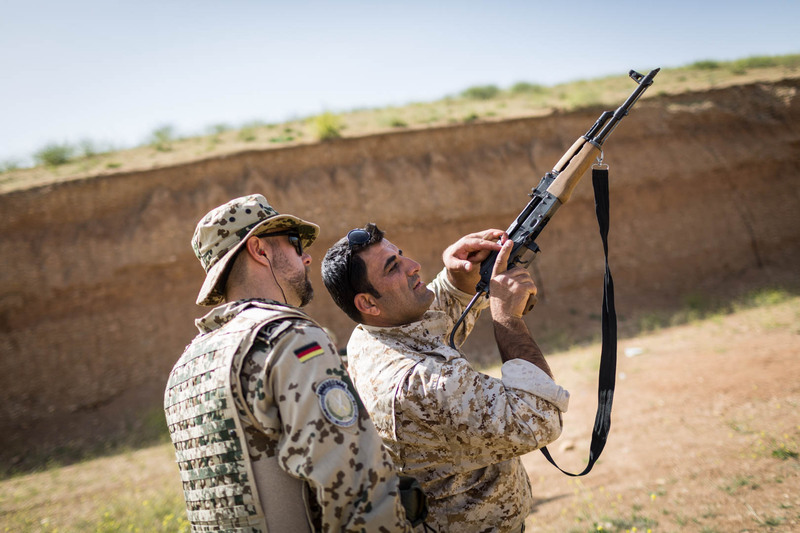 A Kurdish soldier is receiving training on a German G36 rifle. 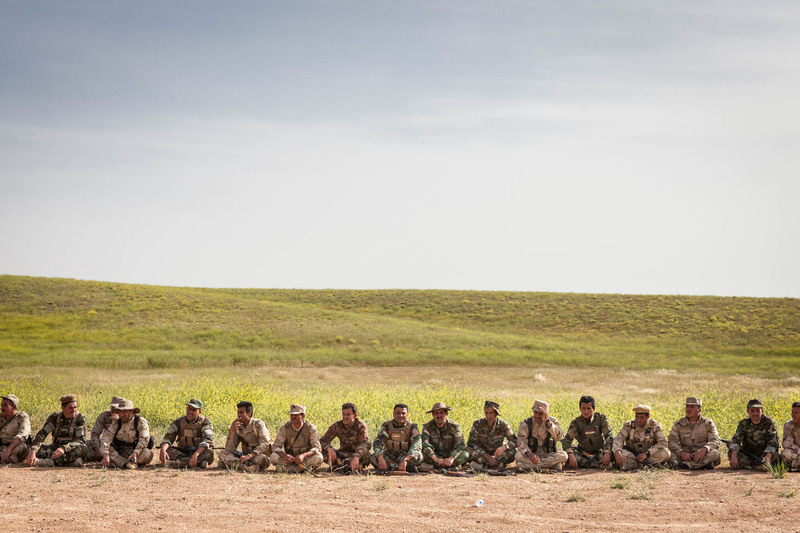 Peshmerga take a break after their lessons at the firing range. 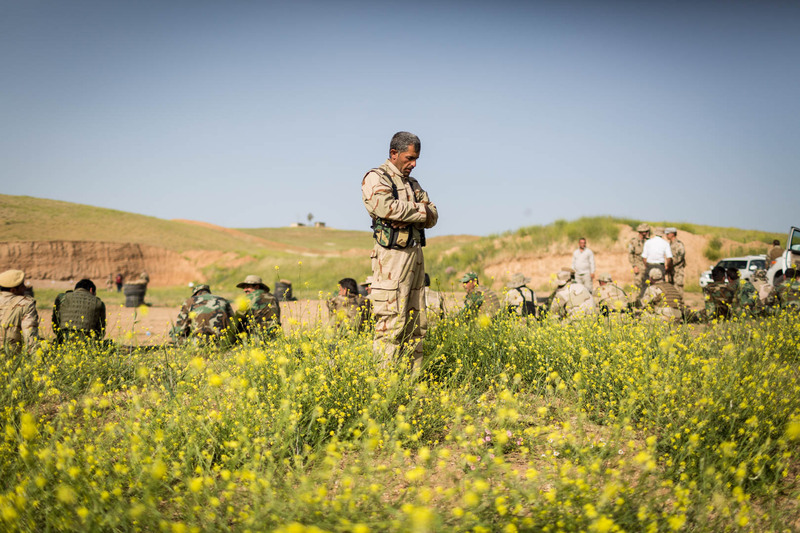 A Peshmerga is performing prayer outside the firing range after his lessons. 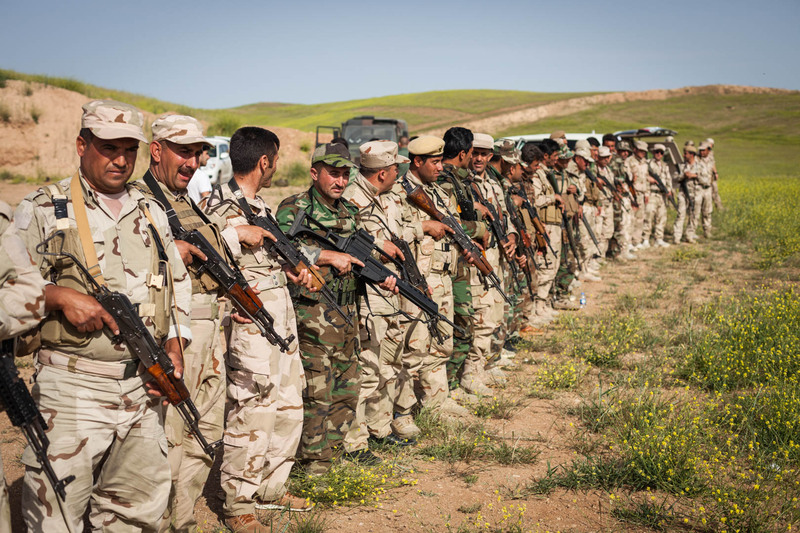 The Kurdish Peshmerga are Sunni Muslims, just like the fighters of the Islamic State. 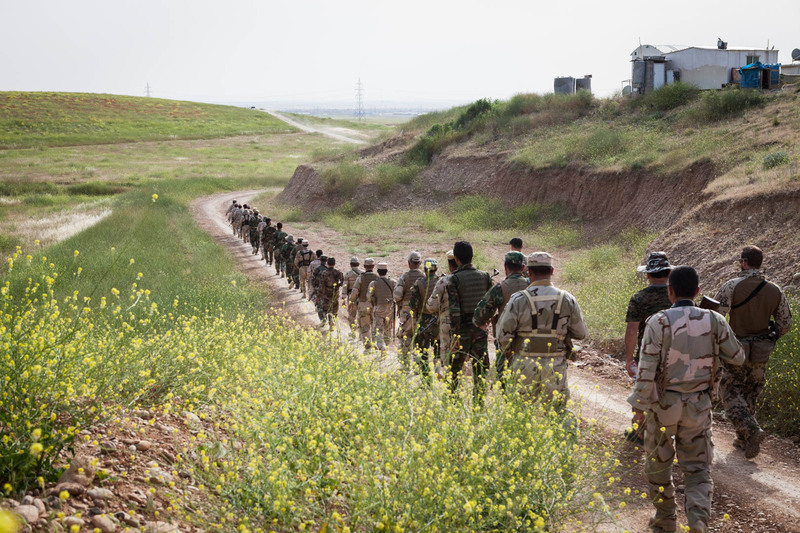 After their training at the firing range, a battalion of the Peshmerga is walking back to their compound. They receive training five days a week, for four weeks. 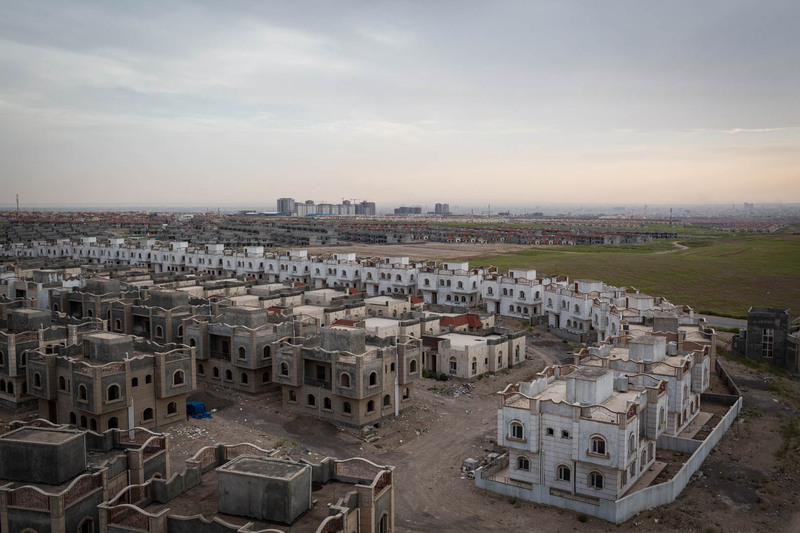 An unfinished real estate housing compound can be seen outside of Erbil. After Islamic State took Mosul and a lot of Kurdish cities, the investor building these houses left the country. The buildings remained unfinished, but are used by German and coalition forces to train Kurdish Peshmerga in urban warfare. When the Peshmerga, Kurdistan’s security forces halted the advance of the Islamic State, it became clear after the defeat of the Iraqi army, that they would be the only ones in the country capable of controlling their territory. 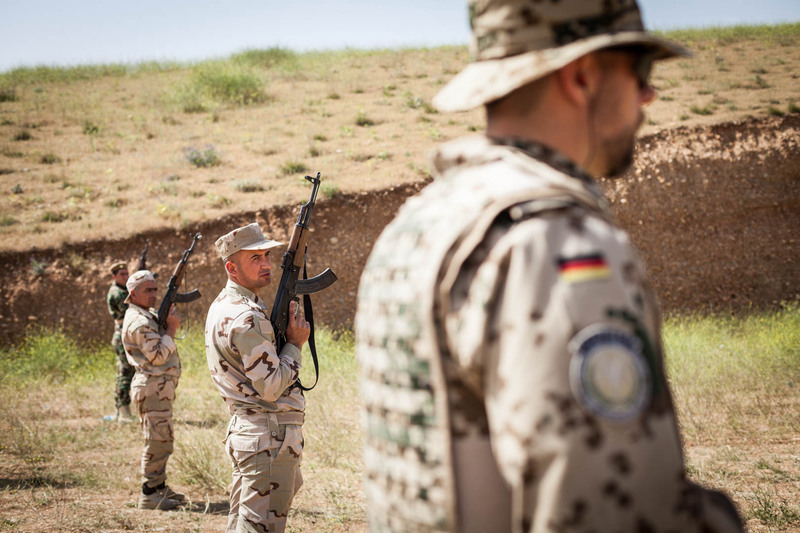 In January 2015, the German government decided to send roughly 100 military advisers to further train and equip the forces of both the Patriotic Union of Kurdistan (PUK) and the Kurdistan Democratic Party (KDP). One year later, Germany decided to send 50 advisers more and also sent more military equipment. This mission is an attempt of the German government to stabilise the region without sending combat troops like in Afghanistan or Kosovo.